The core business of the ROTHENBERGER Group is dedicated to development, production and marketing of tools and machinery for pipe machining. ROTHENBERGER and its comprehensive product portfolio is the first port of call for plumbers, heating installers or engineers and service technicians. Since 1949, craftspeople trust the dependability, durability and state-of-the-art technology of their appliances. 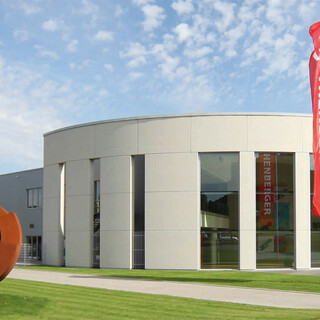 The ROTHENBERGER Group has made a name for itself in the tools and machinery sector over the course of several decades. Under the roof of the ROTHENBERGER Holding, it encompasses – alongside its core business – a number of brands and companies. In 1988, WALTER Werkzeuge merged with the ROTHENBERGER Group. It is now a part of one of the most notable family-operated corporate groups in Europe. As an independent brand, WALTER Werkzeuge complements the holding’s range of products with high-quality tools for DIY craftspeople.